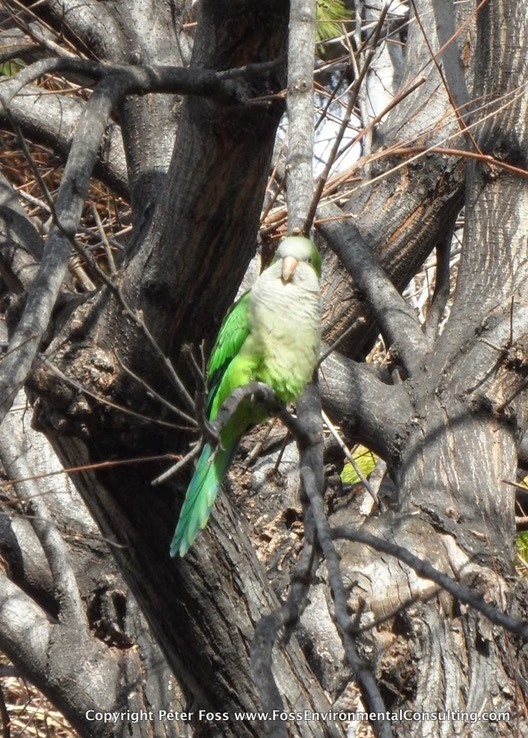 Introduced Quaker Parrot (Myiopsitta monachus). Athens National Gardens. Athens, Greece. Photograph copyright Peter Foss 2014.